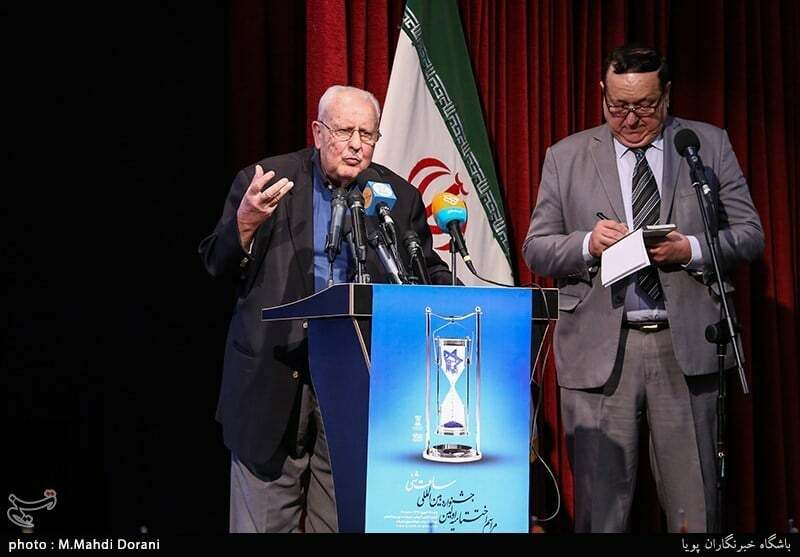 The anti-Israel art festival Hourglass was wrapped up in a recent ceremony in Tehran, awarding winners of the competition focused on annihilation of the Israeli regime. In the Thursday ceremony, 17 artworks chosen from a total of 3,000 art and media productions received awards. The artworks, drawing attention to Israel’s atrocities against Palestinians, were sent from 71 countries, Mahdi Qomi, the executive secretary of the festival, said. The festival consisted of several main sections, namely audio and visual productions, mobile phone applications, HTML5 web games, internet media, animation and motion graphics. The name of the festival, hourglass, alludes to a 2015 statement by the Leader of Islamic Revolution Ayatollah Seyyed Ali Khamenei that Israel will not exist 25 years later. Speaking in the closing ceremony, former defence minister Brigadier General Ahmad Vahidi said the annihilation of Israel is not a dream but a definite outcome. “People may ask will Israel really be annihilated some day? I should tell them that the annihilation of Israel is not a dream but a definite outcome,” he said. “The Zionists’ conditions show their power has been decreased. The new generation of Palestinians and their teenagers are combatant and resistant but the new generation of Israelis are tired and hopeless. This will bring Palestinians success and victory soon,” he said. 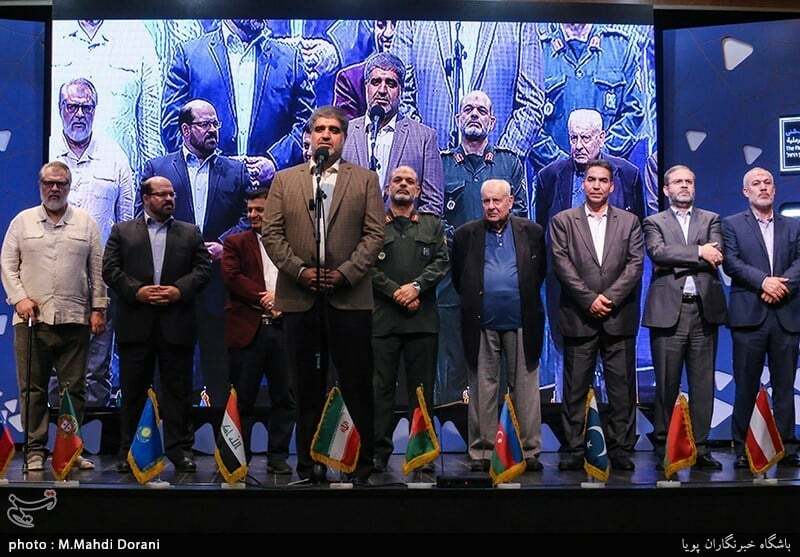 Abdallah Safieddine, the representative of the Lebanese resistance group Hezbollah, admired Imam Khomeini, the late founder of Islamic Republic, for creating hopes that Israel will be eliminated. Pointing to the Israeli occupation of Lebanon in 1982, Safieddine said Imam Khomeini told the Lebanese people they will win the war if they remain strong and fight. He said the defeat of Israelis in Lebanon and their withdrawal in 2000 showed resistance works and will eventually eliminate Israel. Salah Zawawi, the Palestinian ambassador to Tehran, said Palestinians will continue the path of Jihad and martyrdom until Palestine is set free. “This path will lead to complete freedom of Palestine,” he said. Pointing to US President Donald Trump, who has recognized Jerusalem al-Quds as the capital of Palestine and has moved the US embassy from Tel Aviv to the city, Zawawi said Trump is not a crazy president but a pawn in the hands of Zionists. “Trump is a Zionist pawn who does whatever they tell him,” he said. “Trump is nothing more than a pawn and he … won’t be able to take Palestinian lands from them and give them to Zionists,” he said. 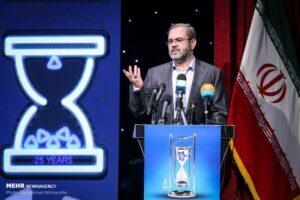 Earlier in the opening ceremony of the festival in February, Hossein Amir-Abdollahian, the Secretary-General of the International Conference on Supporting Palestinian Intifada and an international advisor to Iran’s Parliament Speaker, had noted that the “Hourglass Festival” is a symbol of the imminent collapse of the Zionist regime of Israel, as predicted by the Leader. “The Islamic Republic won’t allow the Zionists to play with the security of the sensitive region of Middle East. 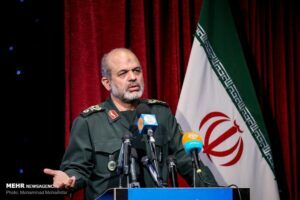 Iran and its allies in the region, which defeated terrorists, will never allow the Zionists to endanger the region’s security,” he added. According to its official website, the International Hourglass Festival has been formed with the aim of collecting and introducing “anti- Zionism” productions by Muslims all over the world in order to disclose the “beastly and anti-human” measures of Israel and its supporters, particularly the US and Wahhabis.